Over the last few weeks and weekends I have spent my time creating some of the wonderful smoothie recipes from the recently released e-cookbook Blend: Artisanal Smoothies for Food Lovers, Summer Volume 1 by Faith Gorsky and Alyssa Brantley. This weekend was no different as I have made it my mission to try every single smoothie in their book. Just when I think I have found my favorite the next smoothie outshines the one I tried before. On the menu this weekend was the kiwi lime+ kale which I dare say is my favorite thus far. 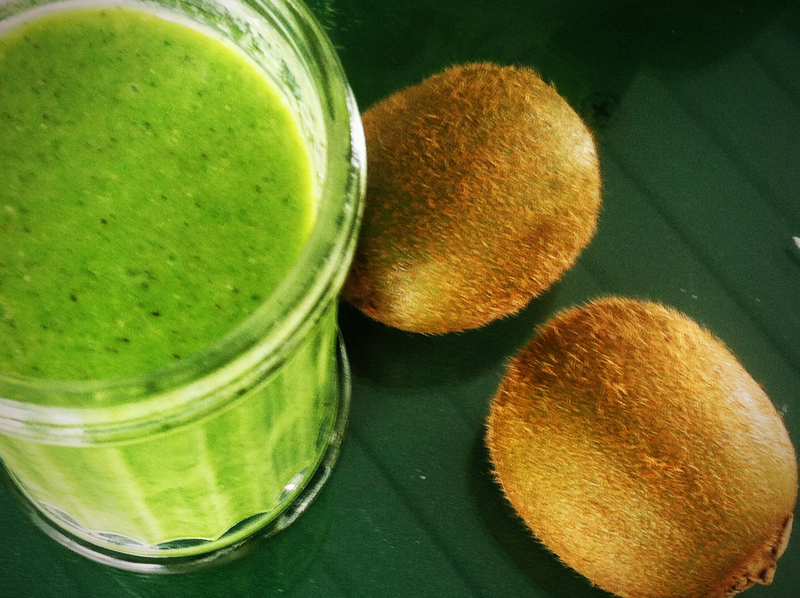 A blend of coconut milk, fresh summer kiwi , a hint of lime and super food kale and this smoothie screams summer. I love it so much that I have already made it twice! 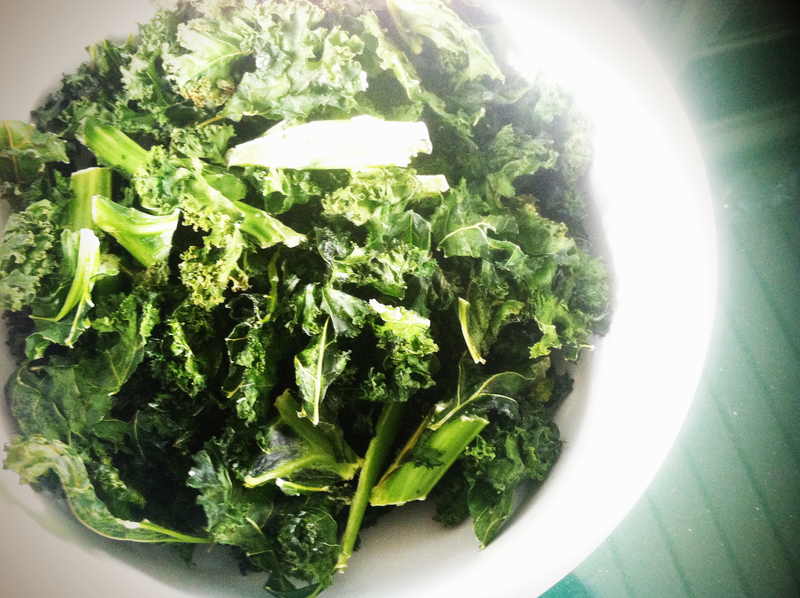 Another new treat that I tried this weekend was Baked Kale Chips. Kale is one of my go to foods but I’m not sure why it has taken me so long to catch on to making chips. They are the perfect alternative to potato chips and satisfy that salty crunchy craving that sneaks up on you when you are watching calories and your waist line. Even better kale chips may be the easiest snack ever to make. They are absolutely fool proof and in this case ok to have more than one. Raw juices and smoothies have long been a part of my diet since I deal with a number of health challenges and this book and these smoothies are a welcome addition to my cookbook collection. I could go on and on but I’ll save the rest for my review of Blend.